with nearly 130 outlets in and around the Tokyo area. 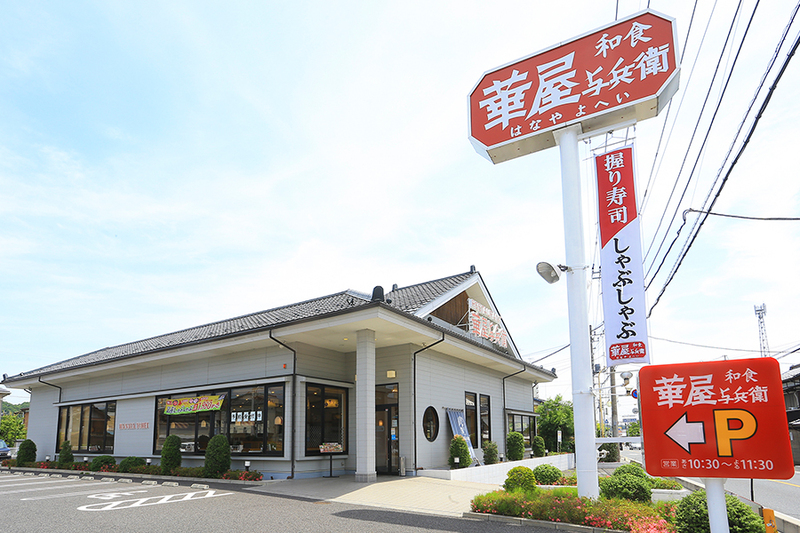 This restaurant is named after Hanaya Yohei, a sushi master active in the Edo Period. Specializing in Japanese cuisine, Hanaya-Yohei serves authentic Edo-style sushi and shabu shabu (meat and vegetable hot pot), tempura (Japanese fritters), udon (white flour noodles) and soba (buckwheat flour noodles) at reasonable prices. The interior is spacious and comfortable so Hanaya Yohei is a nice place for families to enjoy meals in a relaxed mood. At Hanaya-Yohei, diners can also enjoy Japanese-style ozashiki (tatami floor) seating. We hope you will find and enjoy Hanaya Yohei near your hotels or sites you visit during your stay in Japan.